This is the first in depth study to look at all aspects of the work of Lucienne Day, bringing together her work in textiles, wallpaper, carpets and ceramics from both Britain and Europe. Andrew Casey has uncovered new research and unpublished material from the Lucienne Day Archives and the Robin and Lucienne Day Foundation, and has interviewed members of her family including her daughter, her design associates, members of her staff and specialist museum curators in the UK and overseas. 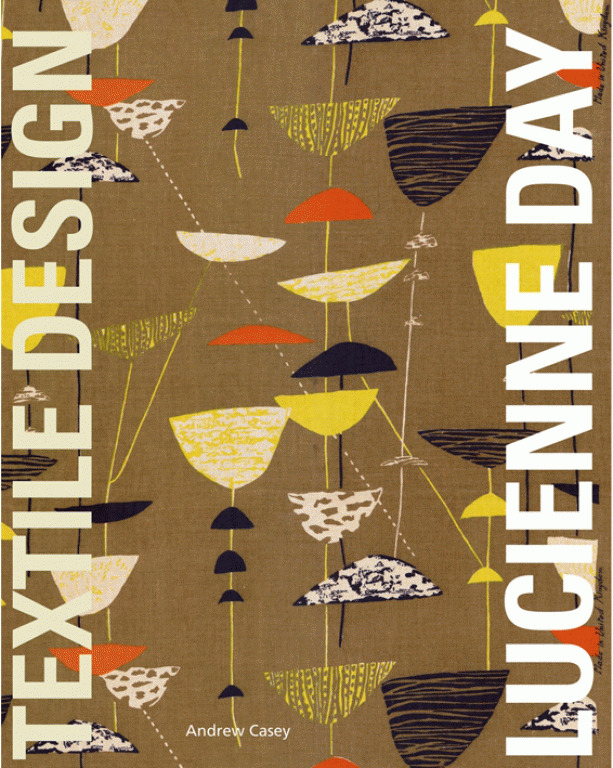 Lucienne Day is perhaps best celebrated for her work in textile design, but her work in carpet designs, wallpaper and ceramics was just as influential, and the book features an extensive range of illustrations, archive photography and for the first time examples of her own original art work for both textiles and carpet designs as well as pattern book illustrations for her ceramic designs. Included is a short essay by Karen Conradi, the niece of Lucienne Day, who worked with the designer on her silk mosaics for sixteen years.